I was encouraged to enroll for the Second Class Badge. I learned various scout crafts and passed the test for the badge. 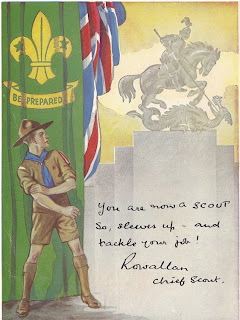 I also had scout standard badges, like Handiman, First Aid, Astronomer and Despatch Rider. 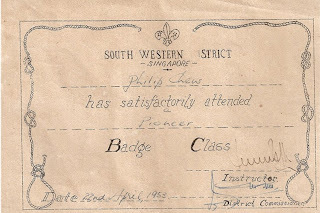 For Pioneer badge, I attended a combined camp conducted by the South Western District. 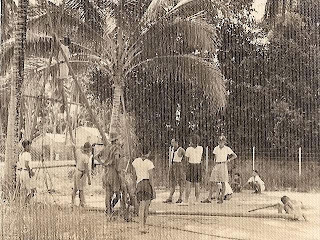 The camp was held at Bedok English School ground but the activities were carried out across the road opposite the school. Our final test was to build a rope bridge. The combined troop was divided into 2 groups. Each group built an A-frame structure. Next was tying the rope to the 2 A-frame anchors standing apart at a certain distance. After completion we checked the tension of the rope. It was good and a scout was sent across from one side to the other. The scout master, a teacher from ACS was satisfied with the construction of the bridge. It was all team effort and we were given the Pioneer Badge Class certificate each. It enabled us to purchase the badge from the Scout House at Armenian Street. was this photo taken at Wing Loong Road? 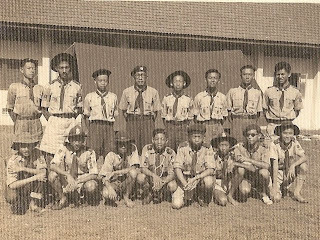 No, our camp was at Bedok School but the construction of the rope bridge was across the road opposite the school.